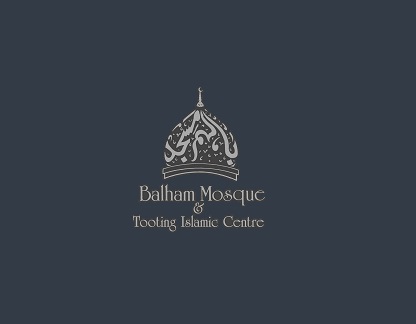 The Mosque provides evening Islamic classes to children from the ages of 5-18 on Monday - Friday from 5pm - 7pm. It works at providing Muslim children with extensive Islamic education in order for them to apply, further their understanding and share this knowledge with the wider community. We teach the recitation of the Holy Qur’an, Surahs (Chapters of the Qur'an), Dua’s (Supplications), Seeratun Nabee (The Life of the Holy Prophet Muhammad (pbuh)), Fiqhul Islam (Elementary level of Cleanliness, Prayer, etc), Islamic History, Tajweed (Method of recitation of the Holy Qur'an), Hifz (Memorisation of the Holy Qur'an) and A’alim Classes. Large scale entertainment and recreational activities are provided such as food stalls, rides, archery, go-karting, wrestling, judo. We also have an Annual Jalsah (Awards ceremony) devoted simply to honour the attainment of our children after their annual examinations and celebrate the talent on Muslim children. The Curriculum Students at the madrasa are taught a number of different subjects in order to educate them provide them with the necessary tools to live their lives in accordance with the Qur’an and Sunnah. The Holy Qur'an is the Islamic book that was sent as a message from Allah (SWT) to humankind. It was conveyed through Allah (SWT) who sent it down to the Angel Jibra’eel (A.S) for it to be revealed upon our Prophet Muhammad (pbuh). The Qur’an is one of the two main sources that Allah (SWT) has left for us to follow, which structures the foundation for Islam. The second most important source is the Sunnah (practice) of Muhammad (pbuh), which was either something that the Prophet Muhammad (pbuh), did, said, liked or approved of through the inspiration and approval of Allah (SWT); whereas the Holy Qur’an is the literal wording of Allah (SWT). We teach the Qur’an from the very first stage of Qaida (Elementary) with Tajweed (Correct pronunciation) and it is crucial that students at Balham Mosque learn these rules from the very first stage as it inculcates their recitation of the Holy Qur’an thereon. There are 114 Surahs in the Qur’an, which all have very important stories and messages that are being related to Mankind. Students are initially taught the very basic smaller Surahs with its translations as it is important for our students to learn at least the essential Surahs so that they can gain a basic understanding about the incidents mentioned in the Qur’an as well as being able to successfully incorporate these recitations when praying Salaah (daily mandatory prayers) and for general prayer. Dua’s are an essential part of a Muslim’s life as it stays with them forever. It is important to encourage and teach students to ask, praise and glorify Allah (SWT) through their supplications. This is included in the Curriculum and students are taught that Islam has a part to play in all aspects of our lives and encompasses even day to day tasks. Through this learners are educated on ways in which they can remember Allah (SWT) at all times. Seeratun Nabee is taught at the Madrasa and this includes learning about the life of our Beloved Prophet Muhammad (pbuh) as well as supplementary knowledge about the other Prophets (pbuh) and Sahabas that related to the Prophet Muhammad (pbuh). It is through this subject that our students come to be aware of the great life and hardships that the Prophet Muhammad (pbuh) and his companions endured all for his people. It encourages our children to want to know who the Prophet Muhammad (pbuh) was and the huge sacrifices he gave for Islam. In essence, the Prophet Muhammad (pbuh) is a role model and exemplar for young and old and the madrasa aims to teach students the lessons demonstrated in his life including, character, personality, how to interact with others, how to treat family members and how to deal in Business and many more. Fiqhul Islam is the teaching of the development of the Sharia (Islamic Law) derived from the Holy Qur’an and Sunnah. It looks into teaching Muslims how to deal with the issues revolving around living life in the correct manner in accordance with the guidelines and rules set by Allah (SWT). The madrasa teaches the essential rules needed in everyday life such as Wudhu (Ablution), Ghusl (Bathing) and Tayyammum (Dry ablution), praying the five daily Salaah and knowing all of its etiquettes, being able to observe fasts during the holy month of fasting, Ramadhaan; knowing how to calculate Zakah (annual alms given to the poor), knowing the difference between Halal (permitted) and Haraam (forbidden) as well as many other topics which are essential for Muslims to know. The term "Tajweed" means to improve or to make better. We provide Tajweed lessons to our students so that they can acquire the correct understanding and learn the tools for reciting the Qur’an which they can then incorporate in their everyday recitation. Tajweed is essential for reading the Qur’an so that one can ensure that the words and letters are being pronounced and said correctly in order to get the full reward of reciting.